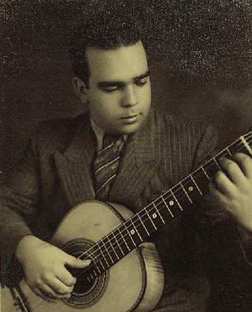 "Dilermando Reis is an icon of the Brazilian violão(guitar) . His anachronistic style of playing and composing -- fully romantic, plangent -- is still regarded sentimentally by many today. As a professor of music, he counted among his disciples the president Juscelino Kubitschek and the violonistas Bola Sete and Darci Vilaverde."